Former international striker Mido says the current crop of Egypt stars are favourites to lift the Nations Cup this year. Mido was speaking after the Pharaohs were placed in a group alongside DR Congo, Uganda and Zimbabwe in Friday's draw. "Egypt are favourites to win the title," the former striker said. "I don't say that because I'm Egyptian but really Egypt have a very good team," said Mido. "Add to that the fans will support the team very well so I'm optimistic that we will do it," the former Tottenham player added. Mido also said that Morocco are the only team "that can compete with Egypt for this title." "I respect teams like Ghana, Nigeria and Senegal but from what I can see, Morocco is the only team can be a stumbling block for Egypt." The 2019 Africa Cup of Nations will take place in Egypt from 21 June to 19 July, meaning Europe-based players - including the likes of Egypt's Mohamed Salah and Mohamed Elneny - will not miss club games. Three teams - Madagascar, Mauritania and Burundi - will make their Nations Cup debuts at Egypt 2019 which will be the biggest Africa Cup of Nations in history with 24 teams, and Mido welcomes the expansion. "That's not bad, it gives many countries in Africa the chance to have the honour of playing in this big event." 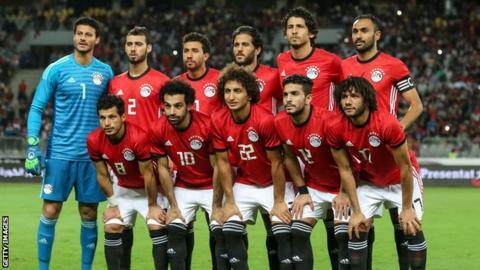 Egypt's opening game will be against Zimbabwe at the Cairo International Stadium on 21 June.